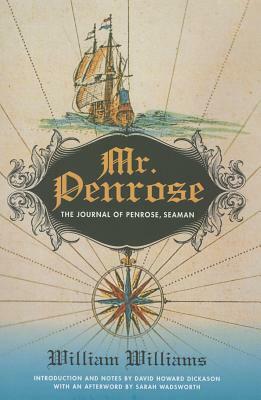 Long neglected as the first American novel, Mr. Penrose narrates the adventures of a British youth who flees an unhappy home life to seek his fortune on the high seas. Having learned the sailor's trade, Penrose survives a series of nautical mishaps, only to be cast adrift on the Mosquito Coast. When rescue finally comes, Penrose refuses to abandon the new home he has made among the Indians. Equal parts travel narrative, adventure tale, and natural history, the novel reflects on some of the most pressing moral and social issues of its time: imperialism, racial equality, religious freedom, and the nature of ethical, responsible government. Mr. Penrose contains the first unequivocal critique of slavery in a transatlantic novel and the most realistic portrayals of Native Americans in early American fiction. In the afterword to this paperback edition, Sarah Wadsworth imparts new research on the author and his career, shedding light on the novel's subjects and timely themes, and situating Mr. Penrose at the forefront of the American literary canon.